58 " Mirror included. Metal exterior hardware with brushed chrome finish. Two (2) functional doors. Four (4) functional drawers. Plenty of storage space. Includes drain assemblies and P-traps for easy assembly. 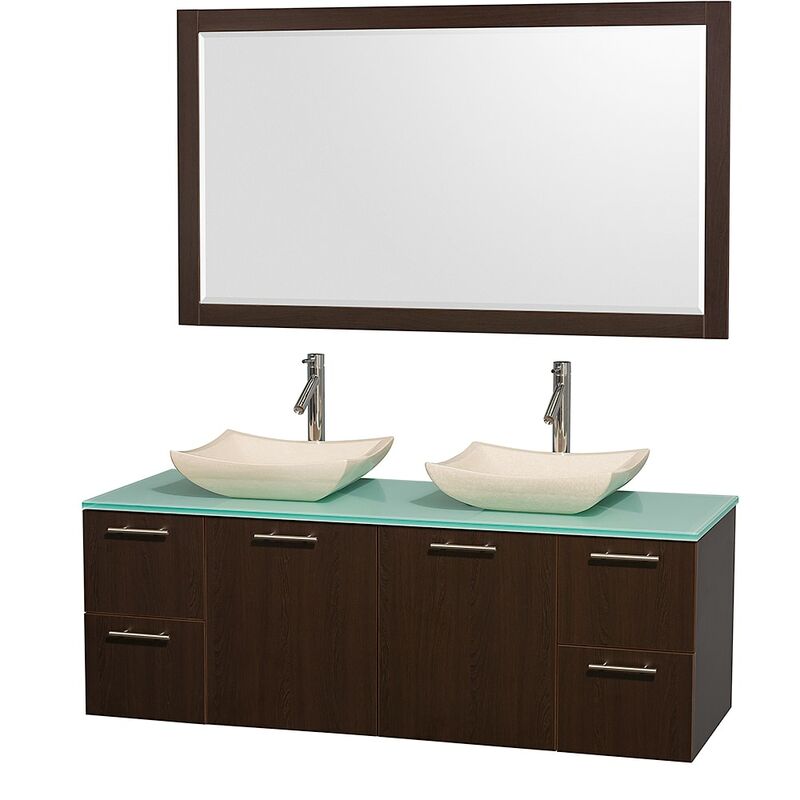 Dimensions - Vanity: 60" x 22.25" x 21.25"; Mirror: 58" x 0.75" x 33"